A real-time understanding of the behavior of pedestrian crowds in physical spaces is important for crowd monitoring and management during large-scale mass gatherings. Thanks to the proliferation of location-aware smartphones in our society, we see a big potential in inferring crowd behavior patterns by tracking the location of attendees via their mobile phones. 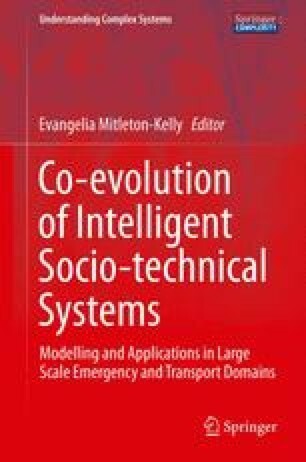 This chapter describes a framework to infer and visualize crowd behavior patterns in real-time, using a specially developed smartphone app. Attendees at an event voluntarily provide their location updates and in return may receive timely, targeted and personalized notifications directly from the security personnel which can be of help during an emergency situation. Users also have access to event-related information including travel advice to the location. We conducted a systems trial during the Lord Mayor’s Show 2011 in London, UK and the Notte Bianca festival 2011 in Valletta, Malta. In this chapter, besides verifying the technological feasibility, we report on interviews conducted with app users and police forces that were accessing the monitoring tools during the event. We learned from both sides that the created feedback loop between the attendees of the event running the app and the security personnel is seen as a strong incentive to follow such a participatory sensing approach. The researchers worked closely with policy makers, the emergency services and event organisers and policy implications of using the Socionical App will be discussed; as well as the response of users to being guided by an AmI device during a possible emergency.